Peerless® Handcuff Company hereby warrants that any restraints manufactured after January 1, 1996 is free of manufacturer defect. 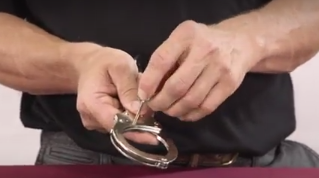 In case of manufacturer defect, Peerless® Handcuff Company agrees to repair or replace a defective restraint when it is returned to our Springfield, Massachusetts, U.S.A. address. This warranty does not cover damage caused by abuse or ordinary wear and tear of the handcuff, nor any damages whatsoever which may be incurred by reason of any failure to carefully comply with directions as outlined in the manufacturer's instructions. Stamping or etching of identification markings on any part of the restraint after they have left the factory is not recommended and may cause malfunction of product and void warranty. Please send any restraints in need of repair to the following address. Enclose a short note describing the problem along with a return street address, contact name and daytime phone number. 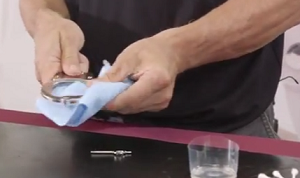 Make sure to securely seal the returns in an envelope or box. Loose cuffs in a poorly sealed package or envelope can result in lost product during delivery. For more information concerning warranty or repair service please contact us at 800-732-3705 or info@peerless.net.